Cryotherapy is a new-ish trend we’ve started seeing everywhere. Everyone from professional athletes, to celebrities (like the late Anthony Bourdain), to average everyday folks are trying out what many are calling a new miracle treatment whose benefits range from weight loss, to skin regeneration, tumor shrinkage, and blood cleansing. But we were curious: What is cryotherapy? What does it do? When did it become so popular? And most importantly, does it reallywork? We all have a lot of the same questions about these kinds of things, so we decided to go check it out for ourselves. We recently spent some time with our friends atC.R.Y.O. 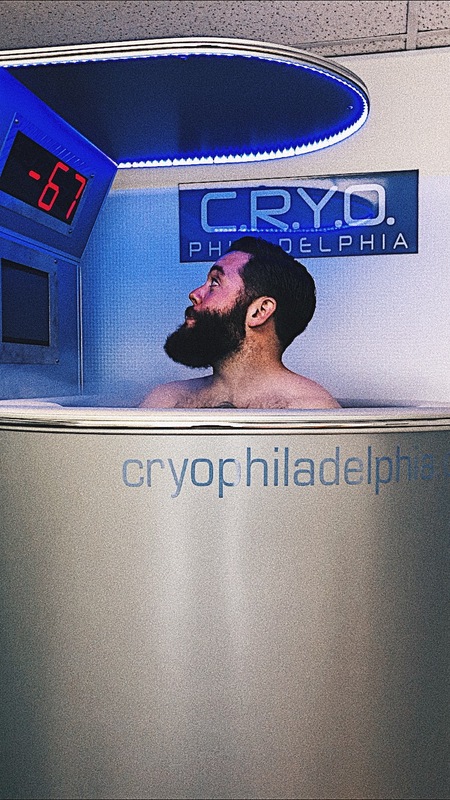 Philadelphia to learn more about what, exactly, cryotherapy is and how it works. We even stepped into the booth ourselves to see what all the fuss was about. “Cryotherapy” is a general term used to describe a pretty wide variety of different procedures and treatments, ranging from cryosurgery, which is the application of extreme cold during surgery to destroy diseased tissue, to whole-body cryotherapy, which is the kind of treatment we’re all used to seeing; the -250°F degree stand-up full-body tank, filled with the chattering teeth of well-meaning people wishing it would end. Since the latter version is what most people think of, it’s what we’re going to focus on today. As far as we know, the use of extreme cold dates all the way back to 2500 BCE Egypt, where doctors would use extreme cold to treat injuries and inflammation. It doesn’t sound groundbreaking to a generation of people who use cold compresses daily to help our bodies rest and recover after working out, playing sports, etc., but think of it like this: A group of people who lived in the desert and had zero access to modern refrigeration knew enough about medicine and how our bodies react to the cold to utilize ice—a thing that didn’t naturally exist in Egypt—to treat their aching joints and sore muscles. Is your mind blown? Because it gets better. People didn’t start reallydiving deep into the effectiveness cryotherapy until the mid 19th Century, when an English doctor named James Arnott started using salt solutions containing crushed ice at subzero temperatures (-18°C and -24°C) to freeze certain cancers (including breast cancer). His patients unilaterally observed significantly less pain, and even a drastic reduction in tumor size, as a result of the treatment. And in 1889, New York City physician Campbell White used liquid air (-190°C) to treat skin conditions like lupus erythematous, herpes, warts, cancroid, and even epitheliomas, while other doctors a few years later used it to treat several different skin cancers with good results. From there, doctors started employing everything from liquid oxygen (-182°C), all the way up to liquid nitrogen (-196°C) which is what’s used in most cryochambers today. The whole-body cryotherapy chambers that we recognize were invented sometime in the 1970s in Japan. They were introduced to Europe in the 1980s, and believe it or not, it was only in the last decade or so that they managed to make it stateside—where they’ve promptly blown up, much to the excitement of athletes, doctors and fitness bloggers everywhere. 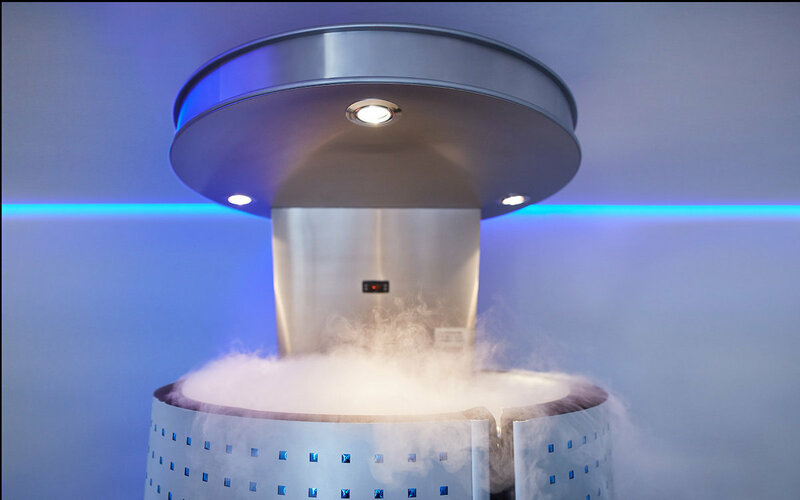 We’re usually skeptical about things that claim to be general cure-alls, but when it comes to cryotherapy, it might actuallybe true. According to C.R.Y.O. 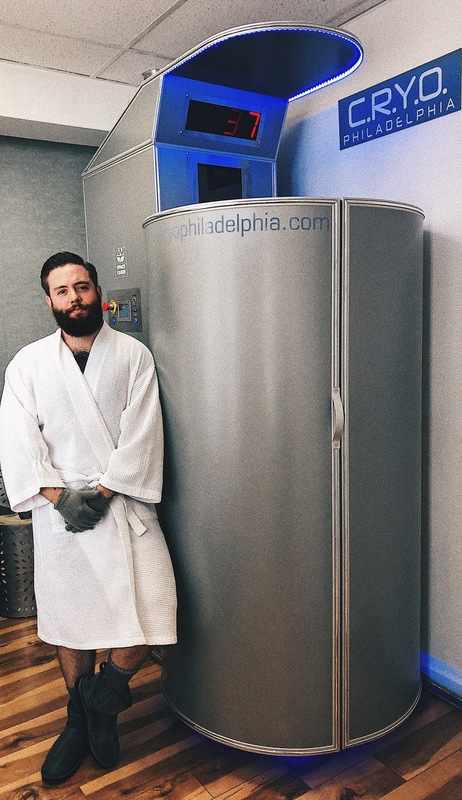 Philly CEO Dayhna Carroll, who we sat down with before and after we received treatment, cryo is a holistic treatment that helps kick our body into overdrive. Cryotherapy’s benefits include muscle and joint pain relief, skin cell regeneration, weight loss, and fat burning, as well as blood cleansing and toxin purging. It’s also People with serious skin and joint issues like neurodermitis, tendopathies, psoriasis, and osteoarthritis have reported incredible recovery and relief after prolonged cryotherapy. Even people with serious neurodegenerative diseases like multiple sclerosis have reported short term relief as a result of cryo. As we were walking into our session, one of C.R.Y.O. Philly’s clients, Gina Downs, was walking out. Downs, who sat down with us for a few minutes before leaving, explained that she’d been struggling with joint issues for about a year before trying cryotherapy for the first time on the recommendation of a friend. She said she experiences pain relief the moment she steps out of the chamber, and that the relief stays with her for days after, usually until her next weekly session. She also said she experiences a general, overall feeling of energy. Carroll also said that the “shock” your body experiences in the chamber triggers a release of norepinephrine, which is the neurotransmitter that affects our mood, attention, diligence and focus. Basically this stuff even helps treat depression and other anxiety disorders. We were skeptical, but there’re clinical studies to back thatclaim up, too. When it was time for usto enter the cryochamber, we were nervous, but aware. The science behind this, in broad layman’s terms, essentially suggests that by exposing the human body to such cold temperatures for a short period of time, it shocks the body into survival mode. That means your body starts metabolizing its fat cell reserves to burn more energy, heart rate increases to help circulate blood, and the brain releases all kinds of neurotransmitters and chemicals to help your body deal with what it perceives to be impending doom. That said, we elected to have the full treatment: Three full minutes inside a rapidly cooling cryochamber that’d top out at over (under?) -230°F (-110°C). Because why not, right? We were instructed to strip down to our skivvies, save for a pair of thick wool socks, gloves, and an insulated pair of winter boots. When we stepped into the chamber, it was cool, but not cold. That, however, changed in a matter of seconds. Once the liquid nitrogen started being pumped into the chamber, the temperatures plummeted quickly and steadily. Our legs started shaking at around -180°F or so, and by the time we made it down to -230°F we were honestly wondering why on Earth people paid good money to have this happen to them. After the three minutes which, despite our protestations here, actually passed pretty quickly, we hopped out of the chamber, put our provided bathrobes back on, and started dressing. The first thing we noticed is that our bodies really didgo into emergency mode. Maybe not DEFCON 1, but it definitely sounded the alarms. Before we had even a minute to warm back up, we noticed our bodies were actually sweating.The cold sensation was gone within a few minutes, and after about five, we were sitting on a couch drinking green tea with Carroll, talking about aftercare. · Definite joint pain relief on our post-skateboarder late-twenties knees. 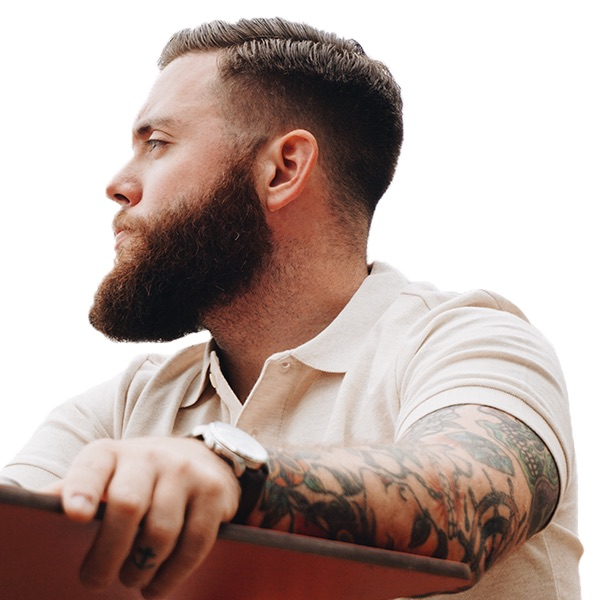 · We were more focused and awake for the rest of the afternoon, and didn’t crash until way later on in the evening. · We were happier when we woke up this morning (But there’s no telling if it was because of the cryotherapy or just because it wasn’t Monday anymore). As far as things like weight loss and skin treatment are concerned, these aren’t generally benefits one notices after just one session, so we can’t comment on that. All in all, we enjoyed cryotherapy. It was damn cold, but it refreshed us in the way we enjoy jumping into the Atlantic Ocean in December, or taking the top down on a convertible in March. It definitely gave us immediately relief on our joints and muscle aches, and energized us for the rest of what is ordinarily a painfully low-energy Monday afternoon. Even if those are the only benefits we got out of this experience, we’re more than happy we did it.